“When I immigrated to the United States from South Africa towards the end of the 1960's I was totally unaware of the wars of liberation against Portuguese colonialism that had begun in the early 1960's in the neighboring countries of Mozambique and Angola. All I knew about Mozambique was the reputation of its capital, Lourenço Marques, as a cosmopolitan Portuguese-style city where white South Africans went on holiday. 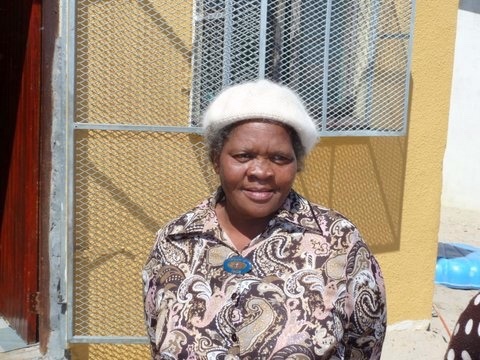 Kate Ncisana outside her home in Khayelitsha: "If I had known what South Africa would become I would not have fought so hard against apartheid"